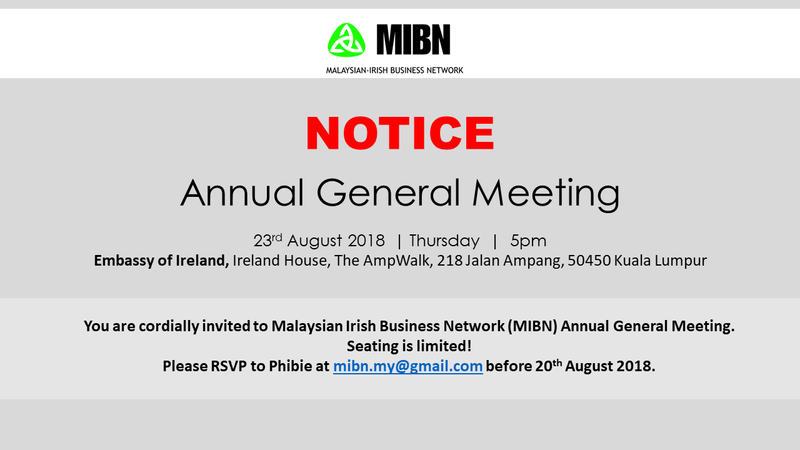 Please be informed that the AGM of the MIBN will take place on 23rd August 2018 at 5pm. Venue is the Embassy of Ireland, Ireland House, The AmpWalk, 218 Jalan Ampang, 50450 KL. 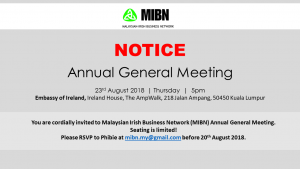 Please RSVP to Phibie at mibn.my@gmail.com.